Give your baby a full night of uninterrupted sleep with Mee Mee's Total Dry & Breathable Mattress Protector Mat Purple that ensures your baby's bed stays dry and clean always. Its specialty, the ""Total Dry"" function absorbs moisture quickly and keeps the mattress dry to prevent rashes that typically get formed from bedwetting. After all, a well-rested baby is a happy and playful baby the next morning. Explore the entire range of Miscellaneous available on Nykaa. 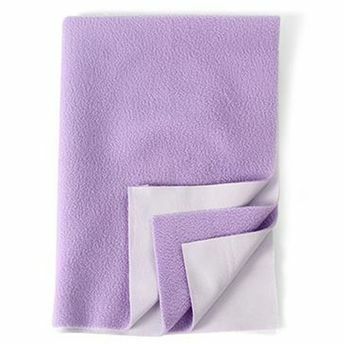 Shop more Mee Mee products here.You can browse through the complete world of Mee Mee Miscellaneous .Alternatively, you can also find many more products from the Mee Mee'S Baby Total Dry & Breathable Mattress Protector Mat - Purple range.